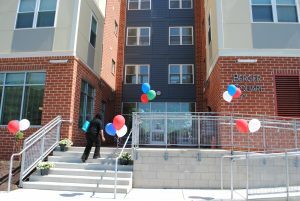 Berger Square Grand Opening Event - Arundel Community Development Services, Inc.
ODENTON, MD- On Wednesday, May 17th Arundel Community Development Services, Inc. (ACDS) Executive Director Kathleen Koch joined County Executive Steven Schuh and State officials to participate in the grand opening celebration of Berger Square, a brand new 48 unit development that provides affordable housing in Odenton. 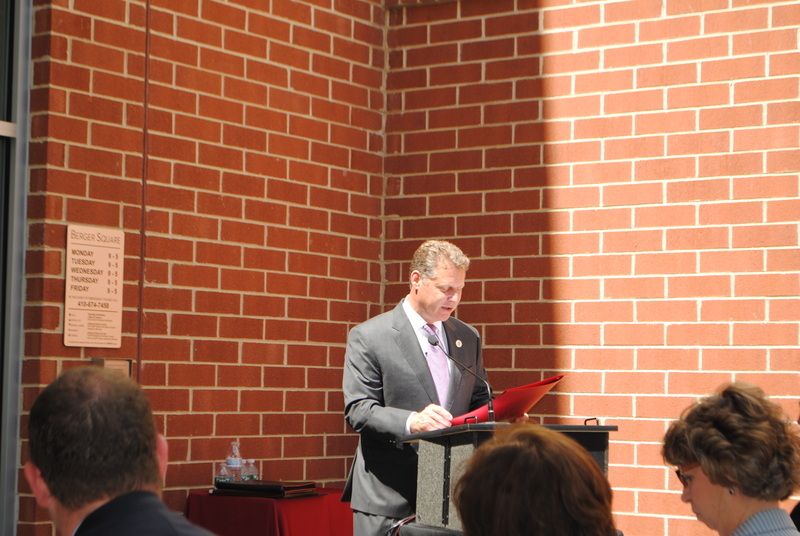 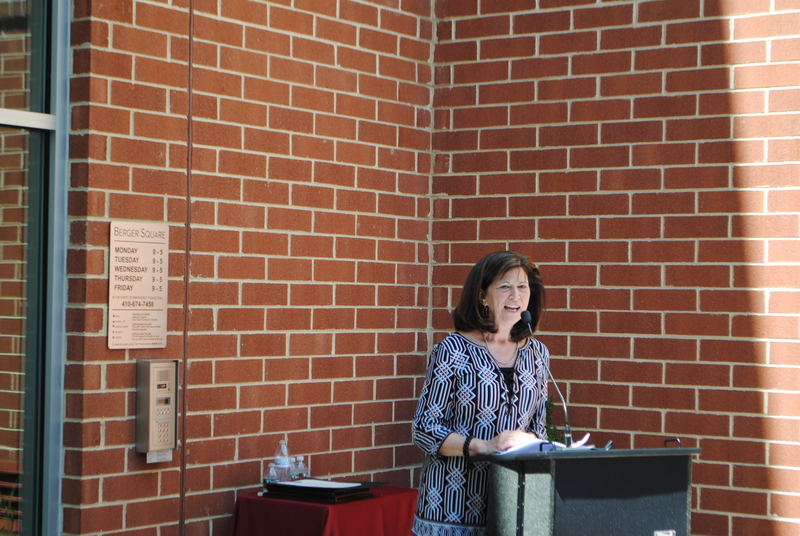 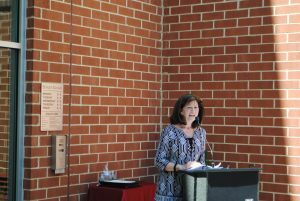 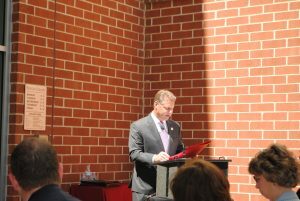 Watch the Berger Square grand opening ceremony here. 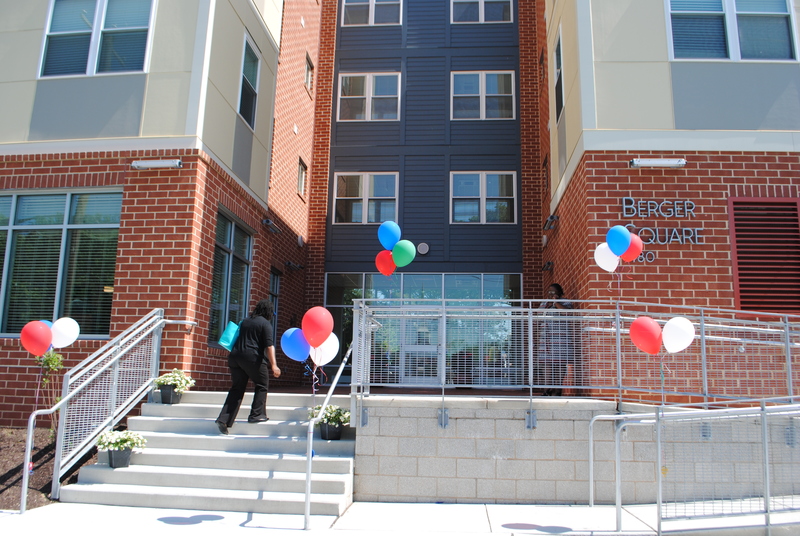 Berger Square was developed by Homes for America in partnership with Foundation Development, LLC and Chesapeake Neighbors, LLC to serve low and moderate income households earning less than 60 percent of the area median income. 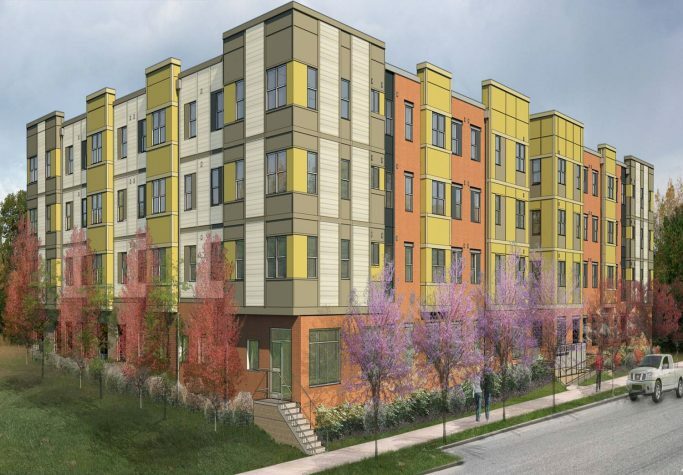 The project involved a mix of financing, including a $750,000 federal HOME loan administered by ACDS and a PILOT Agreement provided by the County to leverage a total of $15.7 million in private equity and government loans. 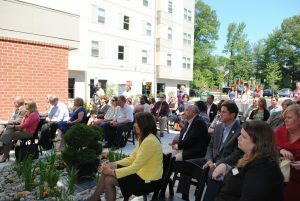 Delegates Pam Beidle and Mark Chang, Secretary Carol Beatty of the Maryland Department of Disabilities, Mathew Heckles, Director of the Maryland Community Development Administration, and Kathy Ebner and Trudy McFall of Homes for America provided remarks as well. The presentation was followed by a tour of the new apartments, which are fully leased up and have a waiting list of over one year because of the high demand for affordable housing in the area.